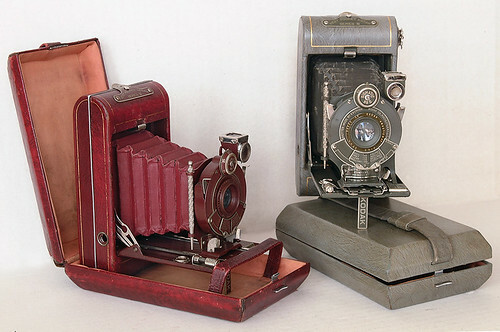 The paint and bellows were in matching color and it came with a silk-lined matching case. The Kodak Anastigmat f6.3 83mm lens was in a Diomatic 3-speed shutter. It has the Autographic back with a stylus on the front lens mount. Film size 127. This page was last edited on 17 March 2018, at 19:21.